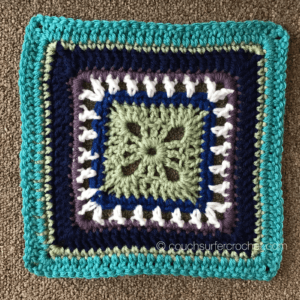 I love to crochet squares! You can do so many different things with them! 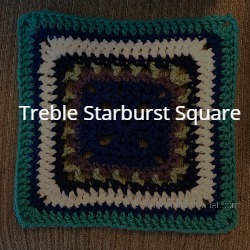 Today I want to share a square I created with all of you: The Treble Starburst Square! It has a few different stitches. It’s made with single, double and treble crochets done in different rows, which gives it a really open look. 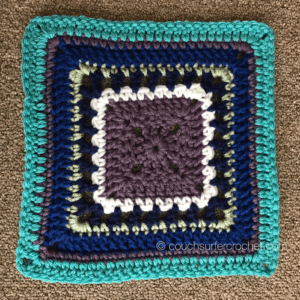 I’m using seven different colors in this square. Within the square, I am alternating between six of those colors, and keeping the other as the final round on each one. I use the same color for Round 1, 2, 3, 4,and 8 to tie the colors together. 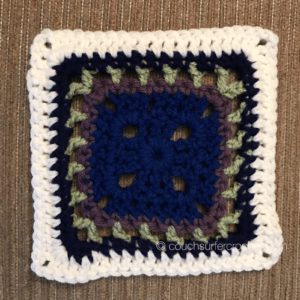 However, I think these squares will look awesome in any color combination in any order! And there you have it! 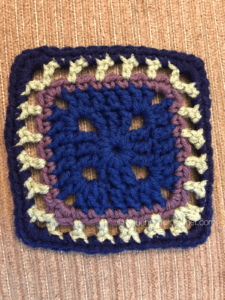 The Treble Starburst Square! I plan to make a bunch of these in all sorts of different color variations, then join them together into a blanket! I will keep you up to date with the progress of that project as I go! I hope you’ve enjoyed this square! I hope to create more of them in the future! If you make one of these, please feel free to share it with me on Instagram! I love seeing different versions of these ideas!